American luxury brand Cadillac had experienced declines in brand relevance and consideration, specifically with younger consumers. Most young adults view Cadillac as a car their grandfather would drive. Beyond that core business challenge, the automotive industry is continuing to explode specifically within the SUV segment. According to J.D. Power & Associates, there will be 71 SUV launches planned from 2018 to 2020. Needless to say, the SUV segment is critical to the success of the automobile business. With unprecedented challenges, it was important that Cadillac create a breakthrough experience to not only connect with younger consumers but show up in a new and unexpected way to launch the XT4, Cadillac’s first-ever compact luxury SUV. As a result, it needed to re-invent itself to reinvigorate the brand for a new audience by transcending culture in a big way. The carmakers elected to break through at the most important youth culture moment of the year, Complex Con, the annual festival and exhibition that brings together pop culture, music, art, food, style, sports, innovation, activism, and education. With an immersive installation experience, the brand had exclusive, custom merchandise giveaways and vehicles on display. 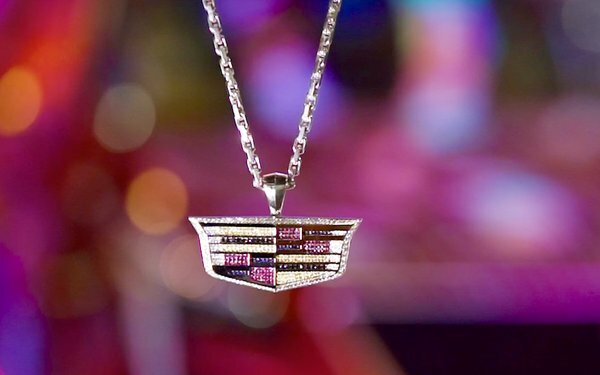 Concluding the weekend, Cadillac partnered with rapper Nas to give away the most exclusive drop of the weekend, a Cadillac diamond-encrusted chain (above) to one lucky fan. With this partnership, it was able to achieve the reach needed to launch the XT4 and create a unique experience to capture its audience’s attention both online and offline, exposing the brand to a new wave of young tastemakers. Twitter activity garnered over 8MM impressions and 2.7MM video views. The pre-roll completion rates surpassed entertainment benchmarks by 78%. Meet your targeted audience on its turf. Engage influencers to draw more people to your event. Dangle unique giveaways to ensure a unique experience, one that will be socially shared. This was a finalist in the Branded Entertainment: Brand Placement, the Contest/Events/Experiential and the Influencer Marketing categories in MediaPost’s 2018 Creative Media Awards.